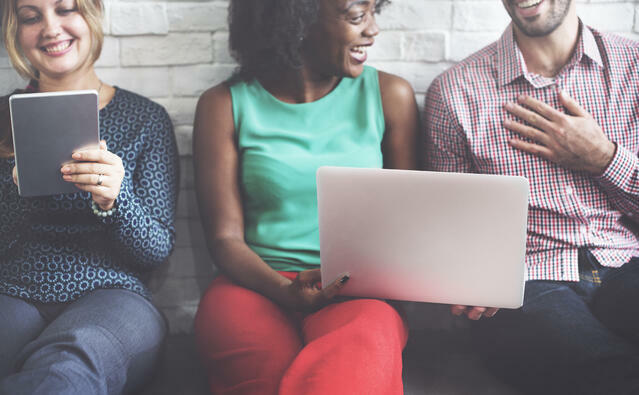 Many financial advisors have successfully adopted using digital signature functionality with their clients, others have never even considered it, and some have simply tried it and given up. Using digital signature has become a huge time-saving piece of technology for many financial advisors and a great convenience for their clients. Yet, it can be a challenge and intimidating to adopt the technology into your firm. Erika here again, your AdvicePay Happiness Hero. Today, I am here to talk to you about our eSignature integration. 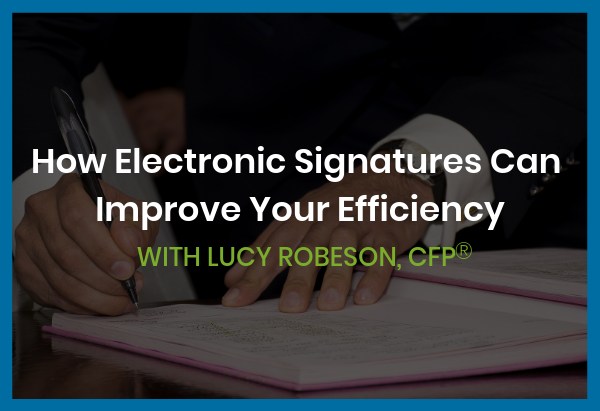 Many advisors have already adopted electronic document signature tools for their practice to some degree, and this has been a huge win for accuracy and convenience when it comes to processing agreements. Chasing paper agreements (and paper checks) can become a huge hassle for you and for your clients. The truth is, there are good reasons why some haven't been able to make the switch to electronic signature yet (including system interoperability issues and more), but I'd like to tell you why -- and how -- you can adopt electronic signatures starting today, if you use AdvicePay. Back in November, we rolled out our eSignature integration, and we continue to expand our eSignature functionality. 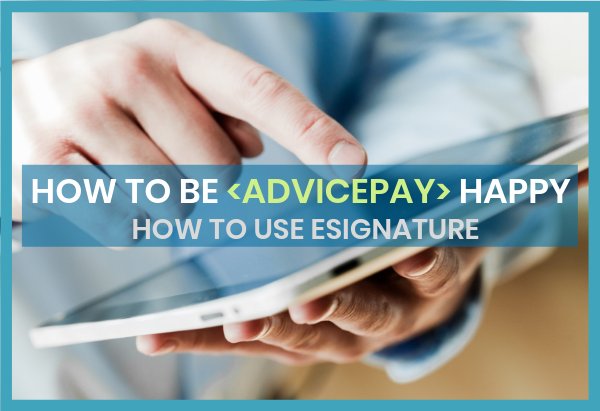 But before we take a look at all of the feature details, let's talk about why eSignature could be the best $15 you spend all month when it comes to being more efficient and providing a great client experience. Hi there! Erika here, your AdvicePay Happiness Hero. I’m coming to you today to alleviate your very next non-burrito-related episode of heartburn due to...overdue invoices! We recently announced our new accounting software integration, via the Business Importer (B-Importer) tool. This has been our most requested feature, and we’re very excited it’s here! Hi there! Erika here. :) I’m the Happiness Hero for AdvicePay -- which means that I’m here for any and all questions about the AdvicePay system. Consider me your personal consultant on how to get most out of our amazing tool! Thanks to some smart questions from our users, I’ve gathered a number of tips and reminders (I call them “HAPPINESS HINTS”) that can make using AdvicePay a breeze. Does My Client Have to Approve Their Ongoing Payment Each Time? 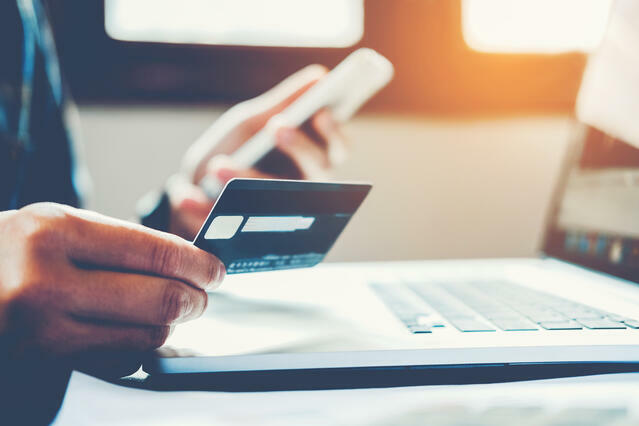 One of the major advantages of AdvicePay is its subscription payment functionality. 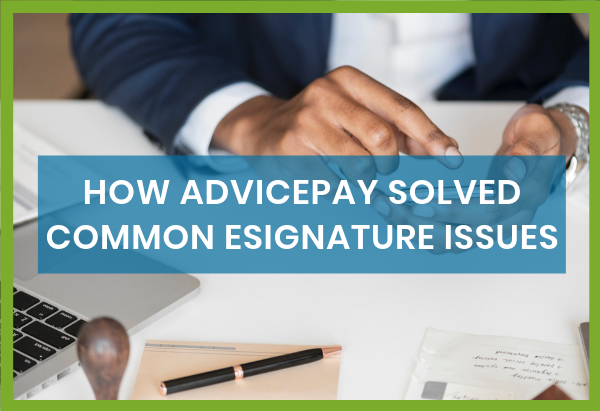 In fact, AdvicePay was created, designed, and built specifically to provide financial planners with a compliant billing option when utilizing the fee-for-service model.